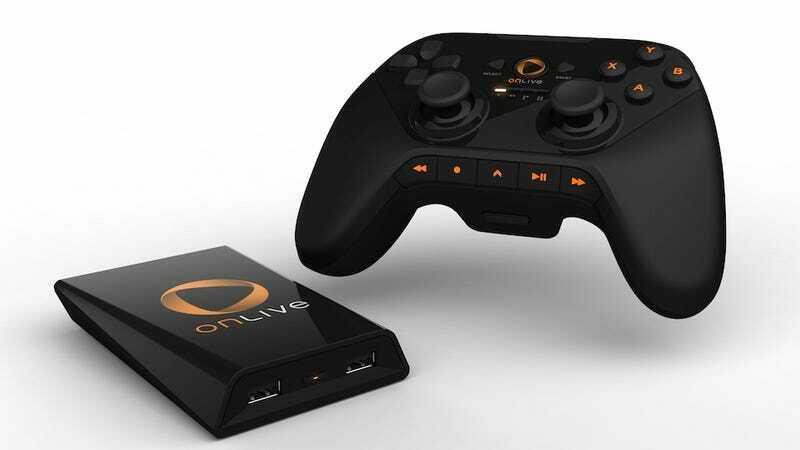 Did OnLive Gut Its Employees' Stock Options to Make Itself Cheaper to Buy Out? In the aftermath of OnLive's not-really-bankruptcy, not-really-restructuring comes this rumor from TechCrunch, which may explain why the cloud-gaming service would want to, effectively, terminate itself as a company, but not its services, nor offer up any of its assets for liquidation to settle its mounting debts. OnLive, suggests TechCrunch, opted for its technical "form of bankruptcy" to zero out employees' equity in the company—and thus reduce the potential price of an acquisition. What price would that be? Back when Sony bought cloud-gaming service Gaikai in July, that was a $380 million transaction. A regulatory filing from OnLive two years ago suggested a $1.1 billion valuation for the company, and private analysts figured it went up even more in early 2011 after smartphone maker HTC bought in for a $40 million stake. Even if OnLive's fortunes soured meantime, it still had stronger brand recognition than Gaikai, notes TechCrunch, and likely would have gone for more than $380 million if Sony had elected to buy OnLive, which some analysts figured was a better fit. TechCrunch attributed this allegation to an unnamed but reliable source; an OnLive spokesperson was made aware of it and declined to comment on Friday as the company was effectively mothballed and all of its 200 employees sent home. Though not actually in bankruptcy, OnLive's assets have been assigned to a third party, which a statement called a "newly formed company" but, according to a recording of Friday's all-hands meeting, was described by OnLive's CEO as a rich, well known and successful venture capitalist. If this person or his company is preparing to flip OnLive to another buyer, who might that be? Well, remember that 2010 document that purported to be a schematic of Microsoft's plans for the Xbox 360's successor? The one Microsoft had taken down from Scribd? It suggested OnLive was a potential acquisition target. OnLive was said to be strangled by infrastructure costs that dwarfed its actual user base—8,000 servers versus an average of 1,600 concurrently online users. Acquisition was the preferred endgame for the firm for some time, Kotaku was told. It's an entirely legitimate business goal for a startup, and certainly anyone who has worked for one knows his or her stock options or sweat equity is likely to turn out utterly worthless. But if OnLive did pursue this "type of bankruptcy" just to lower its price at acquisition, whoever is buying it should know that's going to be a PR problem from the day the deal is announced.